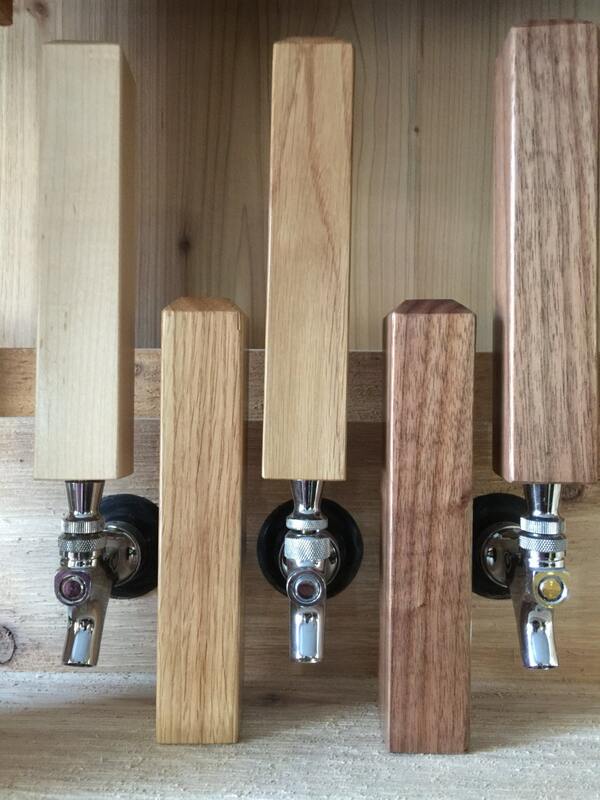 16 Wooden Tap Handles. Custom Men's Gift for the Home Bar. 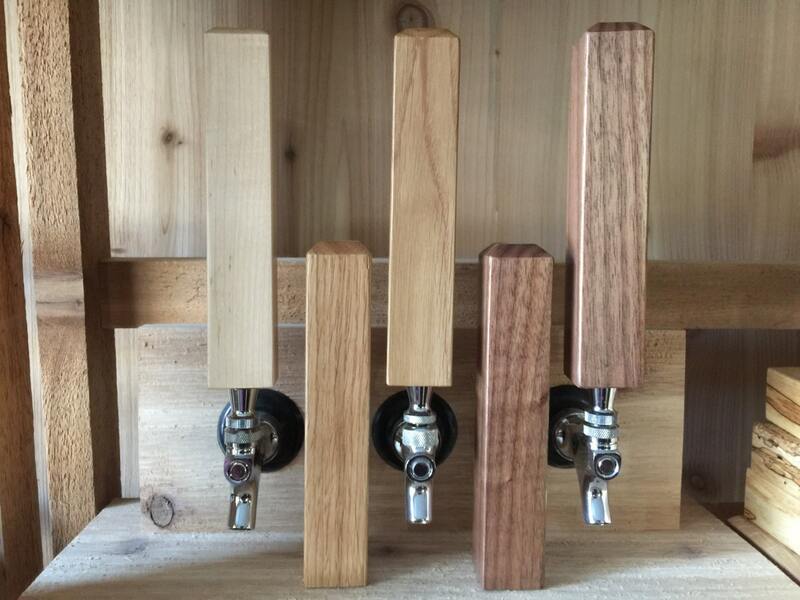 Bar Decor for Home Brew, Coffee Bar or Craft Beer. Bulk Tap Handle. 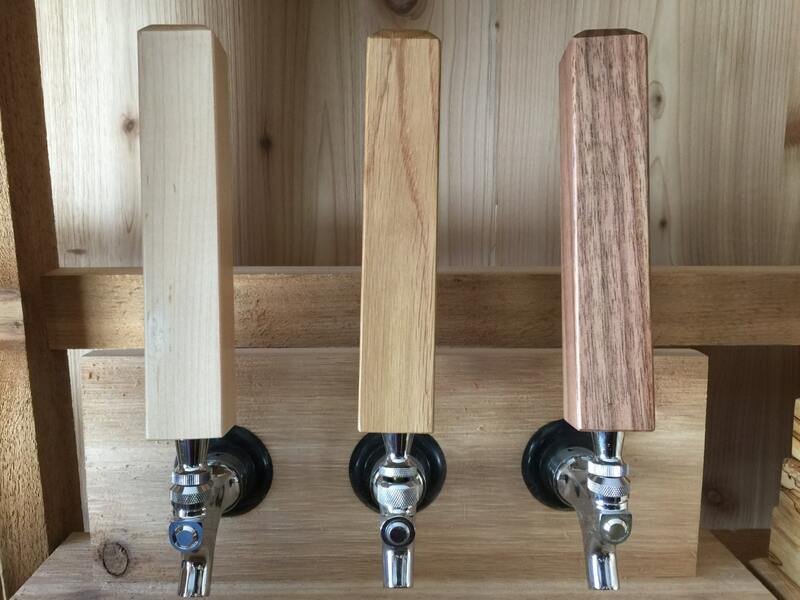 16 Beautiful hardwood tap handles, available in maple, walnut, white oak and cherry. Just a plain, simple tap handle. Crafted from solid hardwoods, finished with conversion varnish and a brass insert which will fit standard faucets. Priced with a 5% discount for bulk purchase. Can be engraved for an additional charge. Each handle must be engraved with the same design.